Oliver Fortune is an activist in Bristol campaigning to save our public libraries. He set up the Facebook page 'Me and My Library' - please show your support for your local library by sending your library selfies in to the page. I joined forces with local library campaigners following the announcement from Bristol city council that 17 public libraries could face cuts to funding. With support from friends of suburban Bristol railways (FOSBR) we ran 5 walks around Bristol starting at train stations and walking to public libraries; where we would take photographs and make patrons at the libraries aware of the possible closure of 17 libraries in Bristol. Bristol city council decided to put Bristol through a consultation process, which the council claimed was to help residents decide on the future of Bristol’s libraries and other public services. Bristolians were expected to select one of three options. All options involved cuts to services and the consultation did not explicitly offer participants the chance to select none of the above. During our campaign we spoke to Bristolians about the consultation and told them to write none of the above in the free text boxes in the consultation document. Astonishingly, many of the people we spoke to were totally unaware that 17 of the city’s libraries could close, and that there was a citywide consultation going on; ostensibly presenting participants with an opportunity to express their opinion. The Save Redland library campaign has been a huge success, with over 7,000 people signing the petition to keep the library funded by Bristol city council. This is almost twice the number of people that took part in the Bristol city council consultation itself. On 5th November I set up a Facebook page called me and my library.. 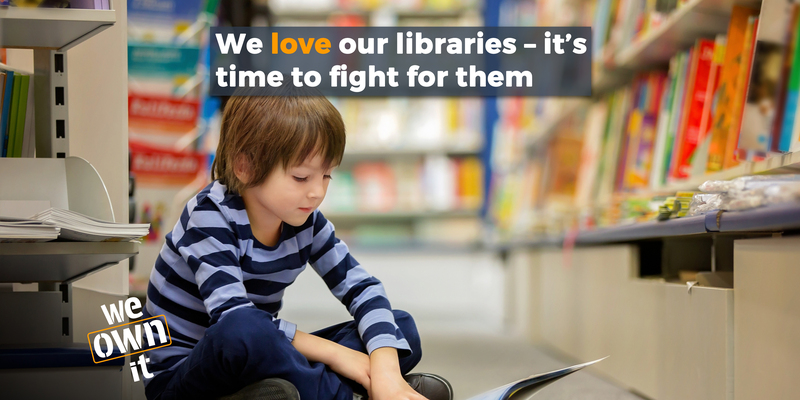 I believe that it is important to try and save all libraries in Bristol rather than focusing on individual library campaigns. The page is primarily aimed at people in Bristol, who are invited to send a selfie outside of the sign of their public library. Remarkably, people all over the world have got involved, with selfies being sent in from as far as Goa, New York and Greater London. Since setting up the me and my library page Bristol city council has decided to postpone its cabinet members vote on the future of libraries. Deputy Mayor and cabinet member for communities, Asher Craig, admitted in a public gallery meeting on Tuesday 14th November that she had underestimated the strength of feeling from Bristolians about protecting our libraries and parks. Although we have more time to campaign, the fight is by no means over. Mayor of Bristol Marvin Rees seems committed to colluding with austerity politics. Our message to him is please. Stop the austerity Bristol overwhelmingly voted against on June 8th. Lobby central government for realistic funding in Bristol! I hope that me and my library continues to reach library sympathisers in Bristol and beyond. Please like, share and follow the page. Why not get your face on the me and my library page outside a library near you? I passed this idea for a 'me and my library' page past a friend and she agreed it was a good one. But what was great about Oliver was no sooner had I proposed we set up a 'me and my library' selfie page than he did just that! Now that's what I call campaigning! Here's wishing a Strong and Stable New Year to all Public Libraries.